As promised, the awesome RaShelle Workman is here to tell you how she sold 300,000 copies of her books! Alex asked if I'd be willing to talk about my success as an indie author. I really appreciate him thinking of me. And I hope some of the information I've listed below will be of some help to you. #1. I wrote in several different genres. This was so important to my success because it allowed me to discover my passion, which is that I'm random, but *mostly* love urban fantasy (magic, other realms, vampires, fairies, but in the present). In October of 2011 I released a YA sci-fi romance, Exiled. It did okay. In December 2011 I decided to release my Romantic Suspense, Sleeping Roses. It'd been with two different agents and a small publisher, all of which fell through, so I figured what the heck. It did okay. It was around that time that I got the idea ~ Snow White becomes a vampire. Then life happened. 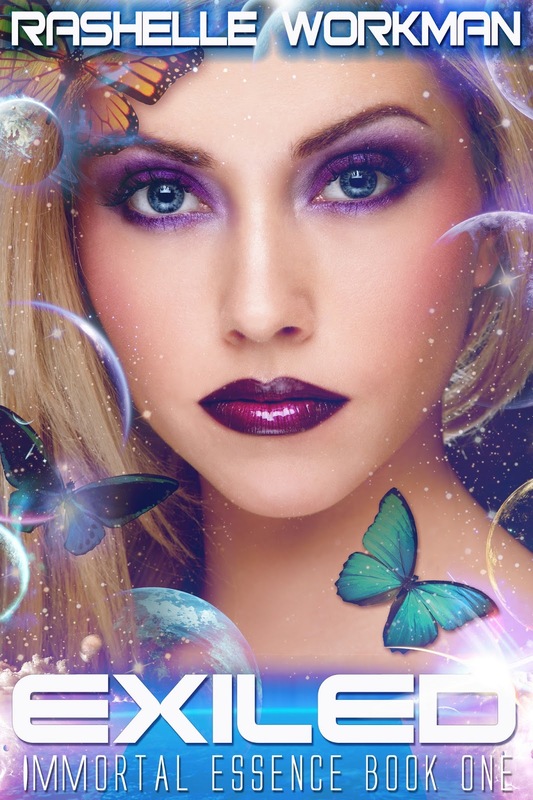 I wrote a different book, the second book in the YA science fiction romance series (Beguiled). Hated it. Chucked it. Ignored writing. 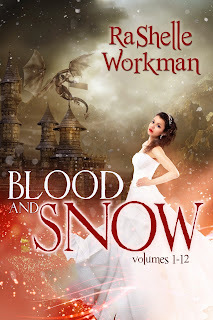 In May I outlined the Snow White becomes a vampire series and entitled it Blood and Snow. I wanted this series to be different. Fun. Like a weekly TV show. The genre is a YA fantasy romance. #2. I wasn't afraid to do the work. What I mean is I collected a team to help make my books the best they could be. Professionally edited. Formatter. Hiring a cover designer. Blog tours. Cover reveals. Book trailers. Marketing. Marketing is the most difficult part. There is no hard and fast rule. What works for one may not work for another. A group called Free Par-Tay really helped me out though. Another marketing tip: Social Media is your friend. Start up a Facebook Author page. I had less than a hundred "likes" at this time last year. Now I've got more than 1500 (1725 to be exact =D). If you check out my page, you'll notice that I try to keep my fans engaged. It's fun, easy, and allows you to connect with them on a personal level. Start up a newsletter. I use MailChimp. I'm sure there are others out there, but MailChimp is easy. Those who sign up for your newsletter are golden. They like you. They really, really like you. And this gives you a way to reward them. You can run contests, let them be the first to know your book is coming out, and give out free books (in exchange for an honest review). Make it easy for readers to purchase more of your books. Put links to your other books at the end of your story. #3. Pricing. As an indie author I can price my books however I want. I'm not afraid to put my book at .99 cents for a while. I rarely price my book over $3.99. It may seem low, but it isn't. And I'll tell you this. I made 6 figures in three months following this rule. #4. Write. This is the given. If you release a book and it doesn't do great. After you've done all you can, move on. I released Exiled and for the first six months sold like 250 books. Then I released Sleeping Roses and sold 25 books. In June 2012 I released the first Blood and Snow (my Snow White becomes a vampire series) and sold 100 in the first month. 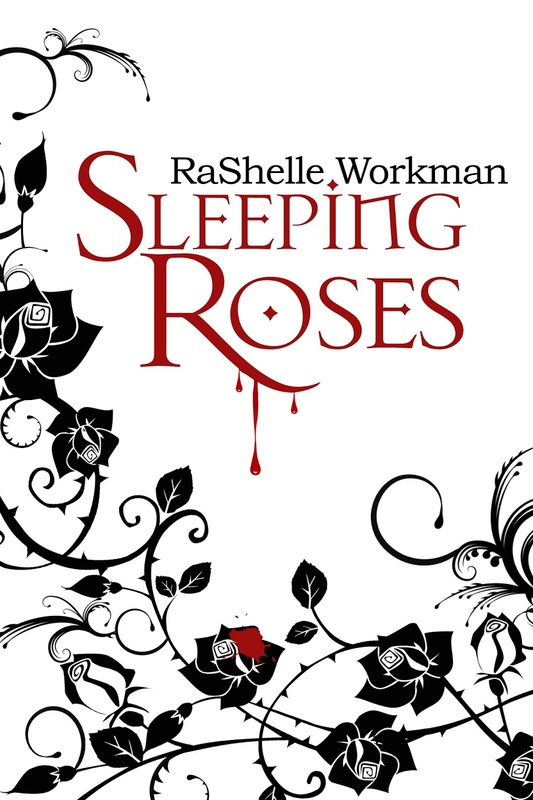 Then in July 2012, Sleeping Roses took off. I sold 10,000 that month. And, of course my other books picked up as well. By the end of January 2013 I'd sold more than 200,000 books, most of them were that silly little book no one thought would do well ~ the Snow White becoming a vampire series ~ Blood and Snow. From May to December 2012, I wrote, released, published, and promoted 9 novellas and a full length book. #5. Luck. I hesitate to mention this, but it's true. As with anything. There is a little bit of luck involved. Pixel of Ink picked up the first four volumes in my Blood and Snow series. Without them I wouldn't have done nearly as well. The cool thing about this is your luck can happen at anytime. So hang in there. Do what you love. I’m back! Missed you guys this week. I managed to slip in a visit a few folks, but was too busy with work to do much more than that. Safe to say, I’m happy to be home. Tyrean Martinson’s next book, Dragonfold and Other Adventures comes out July 3! One of the stories is about Captain Wrath – awesome! She’s not doing a blog tour, so anyone who can help spread the word will be appreciated. Angela Brown just released ATONE, a NEO Chronicles: Character Revealed novella. Congratulations, Angela! There’s an awesome review of CassaStorm on Goodreads right now, thanks to always-awesome Lynda Young who read a review copy. If you want to know a little more about it (or add to your Goodreads list) check it out. 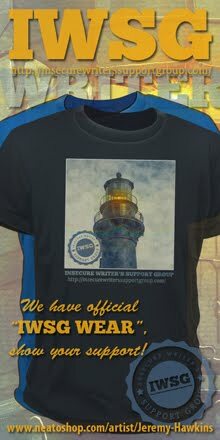 My awesome co-hosts for the July 3 posting of the IWSG will be Nancy Thompson, Mark Koopmans, and Heather Gardner! Sean: I don't think it's negative to admit your insecurities. Besides, if you changed it, it would be a whole lot of work for everybody and it would kill the SEO you've built up. Rachel: Writers have insecurities, it's not negative it's just real. Wasn't that part of the point? We all have insecurities, and that's okay. Robyn: There's nothing wrong with admitting we're insecure. It's like saying "We're human." Robin: I think if you changed it to Secure Writers (or something like that) it would make people who felt insecure or unpublished or whatever feel like the group wasn't for them. It was strictly a group for Established Writers to share things that they know. And anyone who wasn't published should just shut up and read. That is my take. 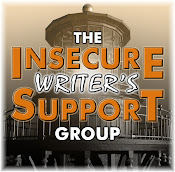 I know I would never join a Secure Writers Support Group. I would read the posts, but it is clearly for Better Writers Than Me. A name like that is a great way to make people Not Join. Michael: The name says it all. It's a SUPPORT GROUP for writers who are troubled and need support from our community. I've always thought it wonderful and so incredibly special. An exclusive club for writers. Hildie: Keep the name, it's all about being insecure, if we were secure we wouldn't need a group, duh! And the most compelling argument came from Mark: Please don't change the name of IWSG. It's taken me nearly two years to put the four letters in the correct order. Ready to move 300,000 books now? Any questions for RaShelle? (She rocks, by the way.) See any good news? Happy I’m not changing the letters of the IWSG? And who’s going to see Superman this weekend? I’m taking off early on Friday to see it. After this work week, I’ve earned! Was there a particular tipping point when your books started to do well? A wonderful write Ra Shelle, It gives hope to all inspiring writers. Welcome back Alex nice to know you're there,Have anyone else experienced pop up's at the sides and from the bottom of the page? being epiletic it isn't good for me as the bottom one keeps flashing. Enjoy your film and week-end. Now that's a good success story, well explained and a little luck. Excellent write by RaShelle. Her story is of interest for authors AND readers. RaShelle's story is amazing, and chockfull of helpful tips! Loved Mark's defense of the IWSG! Congrats on your fantastic review Alex! Some interesting thoughts on getting noticed and interacting with readers. I don't have a newsletter, figuring I wouldn't have enough subscribers, but perhaps a newsletter would bring me more readers. A sort of chicken-and-egg question. It would also be time consuming. My Facebook page has a grand total of 63 likes! At least most of those people are readers and not friends, which is reassuring. I've mostly been using it to post links to my blogs posts. People seem content with that and I don't get more interaction. Any tips on getting people involved? It's always great to read stories like RaShelle's. Very inspiring. Rachelle's recounting of her experiences was good. Thank you for that! Mary Pax wrote a post earlier this week in which she did something similar and it was a *very* good post. Alex, it's cool that you took into consideration the suggestion to change the name of IWSG, but cooler still that so many people who participate came out in full support of keeping things as they are. It's been a hugely successful endeavor and so many writers have benefited from it. Well done on all counts. I would like to first thank you for inviting Rashelle to your blog Alex! What a great post! Thanks so much for all the advice,Rachelle, you are a such a nice person to share your wisdom and advice with the rest of us. Congratulations, and I wish you ongoing success! Congrats, on the new release too, Angela! Alex, as always $I missed you. Wondering if you'll miss me. that was some great information, it's got to be a great experience to go from 1 to 300,000.
alex, glad you are out there... i got in a argument with my wife that i see man of steel today, rather on saturday after i finish my freelance... there is more to it, but it is a boring story... i will be seeing it saturday, i lost. Wow, 6 figures in 3 months? That's amazing. You're absolutely an inspiration, RaShelle! I hope to follow your success. Inspiring post, RaShelle! And good, solid advice for writers. Congratulations on your success! Alex, I'm glad you're back :) And I'm glad the name will stay the same. I enjoyed reading the posts last month and look forward to reading them again. Also, congrats on the review! What a great success story! Congratulations on your sales. Social media is definitely a great way to promote a book. I think keeping the support group with the same name is a good idea. Totally agree with Mark, it's taken me this long to learn the letters!!! Great little nuggets of advice on marketing! Thanks so much for sharing & best of luck with your continued success. Congrats to Tyrean & Angela. Hoping for great things for both books. Many thanks to RaShelle for sharing her story. It does show the rest of us that hard work and persistence pays off in the end. Such an inspiring story for RaShalle, and it's wonderful that she humbly acknowledged the role luck plays in success. But this part: "From May to December 2012, I wrote, released, published, and promoted 9 novellas and a full length book"
That's why she's been successful - that girl knows how to WORK! Hope you enjoy Man of Steel. Look forward to your review. RaShelle, I definitely understand what you mean by a book suddenly taking off. It's a cool feeling. Yvonne, I haven't seen any pop-ups. Good question, Sean. I wouldn't know what to do with a newsletter either. Suze, I was surprised so many came to the name's defense. JL, of course I would! Jeremy, I guess we have to pick and choose our battles. Words, it will be up on Monday. Cally, and she can write fast! Congrats, RaShelle. Thanks so much for the advice. Whether you go Indie or traditional publishing, many of your tips are right on. I loved reading about RaShelle's road to success. What a fun story. Thank you for sharing it. Congratulations to Angela Brown and Tyrean Martinson on their new releases. My debut novel will be released within months and I'm already freaking out about promotional tactics! Need lots of ideas there. Also, I'm definitely an insecure writer, I doubt myself on a daily basis as a writer. Superman is absolutely penciled in! Nice post from RaShelle too. RaShelle is such an inspiration! I want to rub some of her goodness in me lol Jeez, I can't even think - 300,000 ... I think I'll die if/when that happens. Glad to see you back and well, Alex! Great post, all the way around! One of the things I keep seeing in these success stories is how having multiple books for sale increases buys from the lateral (?) customer traffic. I know that's not the only thing at play here, but it seems to be a significant part of it. Glad you decided to keep ISWG. I so admire what RaShelle has accomplished. Thanks to you both for sharing this advice! Great info from RaShelle! She is doing a great job! I know you've got at least one thrill in you somewhere! The day you met your legendary wife perhaps? Have a great weekend! I hope Superman is SUPER!!! Wow, 300,000...that's a lot of books! I'd love to be that successful one day. Glad you're not changing the name of IWSG. That's awesome she sold so many books and went against the "rule" to only write in one genre. Very encouraging. loved Robin's comment. i wouldn't join either. Angela, not changing a thing. Cathrina, just do what you can. Jeff, Mark's point convinced me! Melissa, I know, and I wish I could write faster. Heather, that or the day I conned her into saying yes. Tonja, makes sense to me. I'm with Mark on the reasoning. I still have to recheck the silly things. RaShelle has some great publishing advice. Thanks. Thanks for sharing, RaShelle, and congratulations on such a huge accomplishment. I have to be honest and say I think the other point is to be successful you need to be ambitious and talented. Sounds like you have the winning combination. RaShelle does rock! Well done to her for shifting 300,000 books. Thanks for the great advice! Excellent post, RaShelle! You gave us some very good, creative ideas. Congrats on your success, RaShelle! I hope stories like yours become more common. RaShelle has some great tips! And I love Mark's reason for keeping IWSG. I'm totally with him on that one. haha. Very nice of RaShelle to describe her case. It seems like another one of plugging away at a backlist until one piece catches fire - some heartening common wisdom for those of us who persist. Hope you enjoy Man of Steel, Alex! I'm heading off to it shortly. Glad you are not changing the name for the group, Alex! Congrats on your awesome success and THANKS for giving us some vital hints on how to push ourselves forward. Glad you didn't change the title, Alex. MARK'S response had me in stitches... I am still laughing about it because every months I HAVE TO MAKE sure I HAVE the letters right. LOL. Enjoy your weekend and time at the movies.... YOU DO DESERVE IT! Having a picnic in the park with Melissa. She sounds better, but I want to make sure she's okay.... Hopefully the weather will hold out. RaShelle has a wonderful story, congratulations to her too. And I'm so glad you aren't changing the IWSG -- don't change if it's already perfect. I'll wait for the video to come out, he's not my favorite superhero, almost overdone, but I look forward to your review! And RaShelle's work looks fabulous. Marcy, I remember her first book as well! Ilima, you should really enjoy it then. Sarah, glad you joined us though! I'm glad that IWSG is remaining as is. I wonder if those tips could work for a blog too? I am so there for Man of Steel tomorrow even though the reviews have been mixed to say the least. 58%?! That's amazing how RaShelle was able to sell so many books. I wonder if her advice about low prices would still work for very long books. The books I'm planning on e-publishing are over 300,000 words, and I'd think $4.99 or $5.99 sounds more like a fair price for a book that's a lot longer than the typical 300-page paperback, going on personal experience. Wow! Worth listening to. Suggests that the right idea is extremely important. Wow, RaShelle is amazing and her tips really inspiring. Personally, I don't believe in luck. If I would, I would be forced to believe I'm the personification of bad luck and that goes against my dragon politics and doesn't fit well in my whole life challenge. However, I do believe Higher Powers might give you a bit of help in achieving your goals. Thanks for the tips, RaShelle! And I'm laughing at Mark's reasoning for not renaming the IWSG because I have the same problem! Great marketing suggestions and I'm glad the Insecure Writers' Group won't change its name. It's perfect. Always great to hear of success stories. I'm glad IWSG will remain unchanged. If you remember my comment I definitely wanted it to stay the same. I think I even got a little sarcastic. Congrats on the awesome review and your new set of IWSG co-hosts. Congrats Angela and Tyrean, I'll try to give both books a mention on my blog next week. RaShella you've definitely done well for yourself and prove hard work pays off. I am so happy for you, Rashelle. You worked hard for your success. Oh, and I'm right there with Mark on that IWSG. I keep wanting to say ISWG. I love the IWSG! It's so supportive and encouraging. That's where I met most of my writerly friends! I went to the musical WICKED instead and it was pure AWESOME! Have an incredible weekend, Alex! RaShelle gives great advice, and I love the premise of Snow White as a vampire. I'm with Mark. I have to say the group's name aloud to remember the order of the letters. Thanks for including my comment on it, Alex, and for dropping by in the midst of a lot of work. I am glad that you are not changing the letters of IWSG. Rashelle is simply awesome. I think her success is due to hard work, though luck does play a big role. Yah, I'm with Mark, it's taken me this long to get the acronym correct, lol! And yes, all writers have insecurities and worries. Glad it's staying the same. Wonderful information from RaShelle Workman! I absolutely agree with the point of having a team of professionals work on your manuscript before releasing it to the public. Successful authors know the value of that. Very encouraging to see success happen for a hard working author. Congratulation RaShelle! Alex, do you/your publisher want the reviews to go up now or closer to the pub date? And thank you for your kind words on Yolanda Renee's http://yolandarenee.blogspot.com/ 3UP blog about me. And I'm so jealous, Alex! No Superman for me, this weekend. My car has no brakes. It's always wonderful to read about an author's success - and RaShelle (and you as well, Alex) prove once again that perseverance, believing in yourself and a lot of hard work can really pay off! Mark's argument is definitely the best! Mine was just the LONGEST. I need to learn CONCISE. RaShelle was inspiring. I do think that when you discover a series you truly love the entire game changes. Other books you have written will sell, increasing your monetary gains. But it is THAT SERIES that will actually launch you. I think every book preceding that series merely offers glimpses into your potential as a writer. I know that your story is different from that since you found yourself as a writer straightaway, but not many people find their series right out of the gate. In other news, I taggged you in the Thursday post. Since you are commenting here, that means you didn't pass out and hurt yourself when you saw it. LOLOLOL. Thanks for sharing your story, Rashelle. It made for great reading and encouragement. And I'm with Mark. It took me forever to type IWSG correctly the first time. That was my idea too--Snow White the vampire. Every time we'd ride the Scary Snow White ride as Disney (it officially closed this spring), my hubby and I would talk about how the story unfolded. (We've been talking about it since 2009.) *sigh* I love the angle though--the light-hearted approach. Wait, what? There was a question about the changing the name? 300,000 copies -- that's awesome. Yes, I'd love to go see Superman this weekend. Eat movie popcorn too. Yay for all the great news and you have some really incredible co-hosts for next month. Thanks for sharing your story here, RaShelle. I like the putting in the work part. And I think we all hope for the good luck. Well-deserved congrats! Hi Alex! Looking forward to your Man of Steel review. Rock on Miss RaShelle! Dang. Her success is inspiring- thanks for sharing all of those wonderful tips. Glad you are back safe and sound Alex. I love nothing more than to come home after a trip and go to sleep in my own bed. It's the best feeling in the world and I relish it! RaShelle's story is inspiring! I will not be able to make it Superman this weekend...but will look forward to seeing it soon. Glad you survived the week! Take is easy and have a great weekend! I LOVED RaShelle's post; it was filled with such great and helpful info. Thanks, RaShelle! So glad my post has helped to inspire. And if anyone has particular questions, you're more than welcome to email me as well. A.J. - When I released the Blood and Snow 4 pack is when sales really started to take off. Carolyn B - You're very welcome. 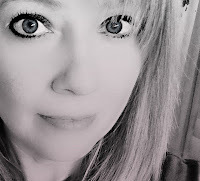 Cally Jackson - Yes, writing, writing, writing is the best thing to do. Catherine Constantine - I have moments of doubt as well. But then the voices in my head, and my desire to do "this thing" called writing spurn me on. YOU CAN DO IT!!! Melissa - I think multiple books is a great way to get readers. 300,000 books is fantastic and I would imagine every author's dream. Sound like good stories too, the Snow White stories probably hit at the right time during the vampire craze. Way to go. Sounds like some good books out right now. Nice to see you back Alex, hope work has eased off a bit. Wow! RaShelle rocks-hard! Thanks for sharing these tips! And ysy for IWSG! I love the title, i'm happy it's staying! Maurice, I bet they would. And I understand the mixed reviews, but just saw Man of Steel - it was great! Al, it does fulfill its goal. And thanks for the invite. EJ, freedom to speak whatever is on your mind is what it's all about. Sheena-kay, I almost used your comment! Cassie, I wonder what that stands for...? Livia, just saw it - awesome! Robyn, I dug your comment. Sia, they can go up on Goodreads now! Robin, yours was the sharpest. And sorry, I missed a lot of this week's posts. Crystal, that's funny you had the same idea. RaShelle, you are rocking the Ninja Army. Thanks for the tips, RaShelle! Lots of great news this week. I'm happy everyone love IWSG's name just the way it is. (I had trouble with the initials too!) Have a great weekend! Robin - I'm tagged or Alex is tagged? LOL And it was my third series that took off. Others it's their first. Some it's after ten. Just keep writing. Yes?! Alex - So glad to be here. Also I love IWSG. It's such a great way for other writers to come together and feel some camaraderie. 300,000 books for a indie-writer is really sensational! Great article, RaShelle! Love your idea for a Snow White vampire. Your marketing tips are helpful. Thanks. Super congrats to you, RaShelle, and thanks for sharing your success story. 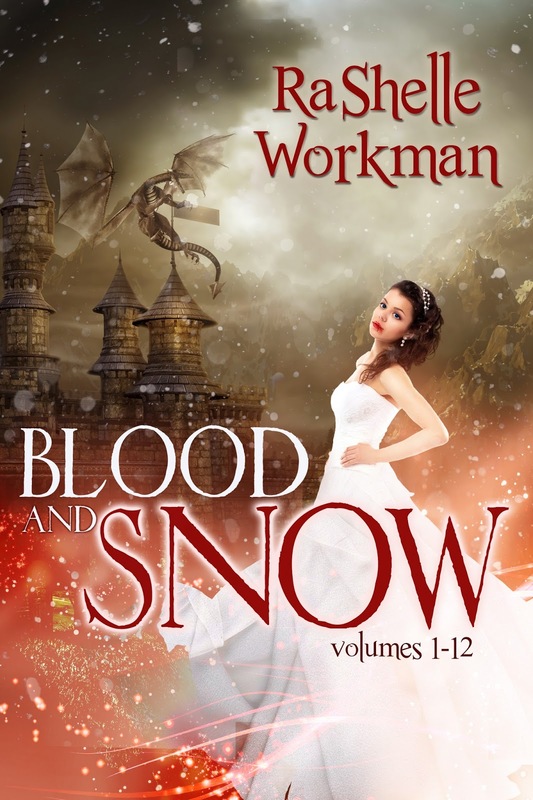 Love the title and cover of "Blood and Snow". Thanks, Alex, for hosting RaShelle's post! p.s. Have you seen Superman yet? what did you think? Snow White becomes a vampire? I can't wait for the movie! Awesome success story, Rashelle. Thank you Alex for the interview of Rashelle. She's a great inspiration! Inspiring story from RaShelle. I'm glad the name won't be changing. I loved it the way it is. Superman!!! RaShelle, I think I'm tagged. Susan, saw it this afternoon - awesome!!! Cassie Mae - Awwww, you have me blushing. Susan - I haven't seen Superman yet, but I want to. I recently set up a separate page on Facebook, but it's more for me as a speaker and author services than as an author. I do need to engage those who've lived my page though. That's really inspiring for us writers. Except for the whole luck part of it. I hate that element. I'm laughing with Mark because I have to really think about it most of the time. 300K! I wouldn't mind that at all. Wow, Rachelle, thanks for all the information. You're an inspiration to all of us! Hi Alex, I'm glad the IWSG will stay the same (and welcome back!). These are some great and inspiring tips from Rashelle. I agree with Mark on the getting the IWSG acronym right finally. Don't take that away from us insecure folks :) Have a great weekend. I think you sold well, RaShelle, because you were willing to write a lot of different book series, even if the genres weren't identical (they seem related, though). You moved on. Then, you let time turn them into successes. Good on you! And, thanks for keeping the IWSG name intact, Alex. It's a great name because it's self-explanatory. Thanks for the amazing tips, RaShelle. It was great to hear each tip and the examples were so helpful. Wow! So happy for her that her books are doing so well and I appreciate her sharing her ideas with us. Thanks! Wow! Thanks for the shout out, Alex!!! I really appreciate it! And I'm marking this page for keeps for all of Rashelle's tips! And thank you for keeping IWSG - it's taken me two years to get those letters in the right order too - bless Mark for having the guts to admit it. :) Plus, I agree with all the other reasons too. Superman - definitely our next Tuesday family movie. (Our weekend is crazy busy, and Tuesdays are $5 days at our local theater). heading to see superman tomorrow...woot! Happy IWSG is staying the same! I'm with Mark...lol I have fumbled a bit on occasion! Happy you are back safe and sound! Great article that gives writers a lot to think about. I love the point about writing in different genres, because I'd heard that it's best not to do that. But that's who I am. So it's good to hear that someone has success doing just that. May be all have been success. I LOVE these types of posts. Hearing about how indie sellers rose to such stature; it is awesome. An awesome post! Thanks so much for RaShelle's guest post--how inspiring! And thanks for not changing the name--taken me this long to remember the order of the letters too, lol! Alex and RaShelle: than you so much for this post. I am terrible at marketing and selling and need all the help I can get, and RaShelle's advice and experience have definitely enlightened me. 300,000 books - Holy carp! some good advice there. So glad to hear that you're not changing the IWSG - I too, have just gotten the letters correctly,most days. Good advice from RaShelle, about doing what you can and moving on. I still struggle with that, but it is still a learning process for me. RaChelle you have given some great advice. Marketing basically takes time. Hey, Alex! Hope all is well. Canilynn, miss one day and miss a ton of news! Shell, wouldn't want you to feel even more insecure. Tyrean, you're welcome. Go Tuesday and enjoy the film. Ella, Mini-Alex had Kate. I doubt he even noticed I was gone. Mel, I bet you weren't the only one. Hi Alex .. I'm glad you're not changing the IWSG .. the title makes sense ... as do the posts people post - and must help many. 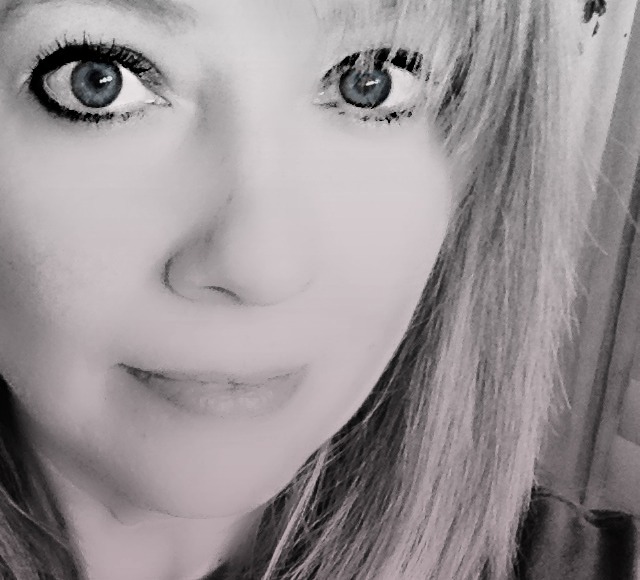 Love reading RaShelle's process on achieving such a great volume for her books sold .. and obviously getting it right - as she says perseverance .. and keep on writing ..
Great insights from RaShelle. I hope to put them to use one day. I would love to move that many books. Have you watched MoS yet? Missed your wed blog too, even though it doesn't really look like it when I am this far down your comment list :) Love the book selling tips, RaShelle is awesome, thanks for inviting her to share. No doubt, we all have insecurities, and recognize is the first step to overcome! I've had a similar plan to hers for a while, it's just having the time to make it happen. I'm hoping to have my next book out this year. Jennee Thompson - Time can be the most difficult part. Yes? Brandon, saw it early Friday! Rhonda, good to know I was missed. Jennee, as slow as I write, it will never happen like that for me. Yes, I'm now here! Wow, that was quite the article by RaShelle. What I really like is that she likes to write in several genres. I believe variety expands the writing passion and imagination. Yay to Angela. One of my good friends. Delighted about your awesome review, Alex. Nice one. Alex and I seriously mean this, a number of folks have told me my tongue in cheek take on IWSG aka "I Was Seeking Gary", did help them remember the order the letters go in. A good Sunday to you and all our friends. And wow such great info from RaShelle! That is amazing success!! Great post RaShelle - loved hearing about your process:) Congrats on the success. There is a lot of luck to it. When a site like Pixel of Ink or Ereader News Today picks you up, you're golden! But we're all working hard to carve out our places in this ever-expanding world of books by the billions. Gary, I wouldn't want those people to have to seek anyone else just to remember the letters. Milo, and there is room for everyone. Most of it is out of my hands, though, since my first book is with a publishing house. Still, I can edit and hope that my book is the best it can be. RaShelle is awesome and I'm glad she shared some tips and secrets for success. I'm glad IWSG is staying the same. Happy Father's Day to all the fathers, uncles, brothers, brother-in-laws, grandfathers, and fatherly types. Hope everyone is having an incredible day. ps: thanks for all the "likes" on my facebook page. You're awesome!!! and I really appreciate it. This was both helpful and inspiring. Thanks! I want to be in your insecure writers group, just because. And I do have a book, have illustrated a book, and I am presently writing a book. I need to belong somewhere. I need a hangout. I cannot perpetually be eccentric and weird all by myself. I am hoping and praying that some of you are geeky nerds; please take no offense. I see myself that way. No one in the family ever had that name and that is the name I chose for the first of my five sons. congrats to RaShelle. Hard work definitely has a lot to do with it. So glad you liked my review of CassaStorm. It truly was an enjoyable read. Alex, thanks for hosting RaShelle. I love hearing success stories, and she shared some good info with us. Very helpful and hopeful! Gotta check out that awesome review by the awesome Lynda Young! RaShelle, great guest post. I read it slowly three times over. You are truly an inspiration to us all. Here's to your continued success! Thanks for having RaShelle over. She was just the boost I needed. Hope this week is better than last. Mine will be. I get to spend part of it with Jennifer H! What an awesome and inspiring post. Thank you, Rachelle and Alex! I LOVE the idea behind Blood and Ice. I fave to check that series out. I am poop at the whole marketing thing and spend far too many unproductive hours on doing it unsuccessfully. I need to write, grr! Great interview. Thank goodness, you didn't change the name...I would have been left insecure about it. That's an impressive sales track for RaShelle. Enjoy the non kryptonite action. I hope to catch it on DVD. Awesome post from RaShelle! What a great story of uber-success coming from hard work. Awesome Rashelle! I never get tired of hearing your story! Thanks Alex for inviting her to blog! RaShelle, great guest post and congratulations on doing such a great job marketing! I loved all your tips and am going to check out Free Par-Tay.